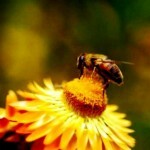 There are about 730 species of wood bees (carpenter bees). These bees live all over the world, mostly in forest areas. Most species of carpenter bees live in the tropics. Carpenter bee resembles a bumblebee, but has no yellow color on the body. 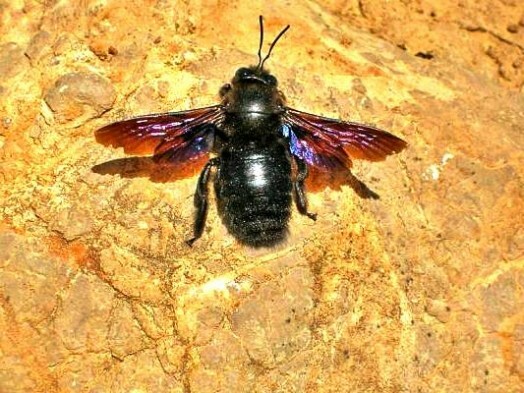 The queen of most species of wood bees is black or blue with a metallic tinge, its length is 2.5 cm (1”). Drones do not differ from females. Some wood drones are covered by light brown, light green or yellowish-green hairs. Wood bees tend to fly long distances and are able to visit during one flight many flowers. They can work even during cold weather. Some species of wood bees have interesting social behavior. 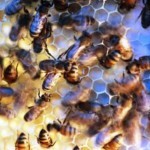 Bees go through several stages of social development, before the family is formed. 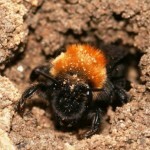 If bumble bees tend to build their nests in the ground, the wood bees make tunnels in the trees, and then lay their eggs. 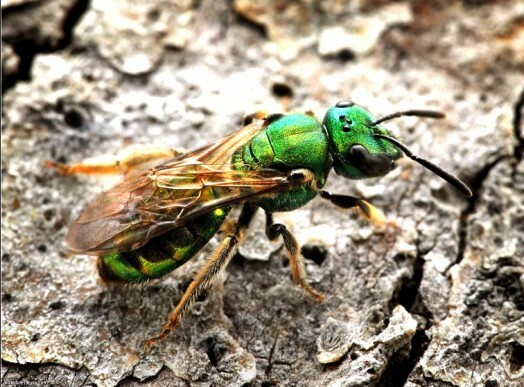 Wood bees prefer unpainted timber, such as mahogany, pine, cedar and cypress. Painted or treated wood is less preferable. Common nests are cornices, window sills, plates, furniture. When the queen wood bee builds tunnels in the wood, the distinctive sound can be heard a few meters away from the nest. If you see a pile of sawdust and a lot of bees flying near a tree, then you can conclude that you are close to a bee nest. 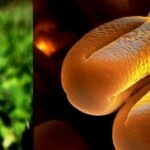 Wood bees build honeycombs in the tunnels. Cells are divided by walls of sawdust and wood, which are fastened with bee saliva. Tunnel entrance is perfectly round, with a diameter of approximately a finger. 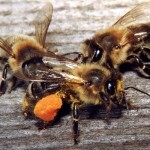 In Virginia, the queen bee reproduces every year a new generation, but some individuals can live for two years. Different generations of the wood bees come and go in the nest, in which they live for over 14 years. The queen is dominated in their hierarchy, next are bee guards at the entrance to the bee’s nest. Mountain wood bees are located in the western part of North America, the state of Washington and Mexico. The queen is black. Drones are black with white spots on the head and the gray hairs on their chest. The size of the queen and the workers is more than the size of bumblebees, they are large bees. Bees search the nectar at dawn and dusk during the summer, they can be seen around the large nectariferous plants such as honeysuckle. Drones chase each other, and can fight. Mountain wood bees build their nests in fir and mahogany. Each tunnel has length from 13 to 30 cm (6-12”). Wood bees can build several nests in one tree, which weakens the structure of the tree, and it can be lost. Ordinary wood bee has large body( length is 20-27 mm (1”), it is a single insect. 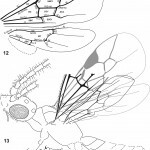 Head, chest, abdomen and legs are black, shiny, with very rare black hairs. Wings are dark with blue-purple glitter. Antennae are black at the top, at the bottom – are rusty. 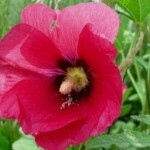 It is a large insect, little pertaining to the bees, but rather strongly similar to them by appearance. Black – blue dense body of this insect is covered with rich purple hairs, small wings with jagged edges also have a violet color. 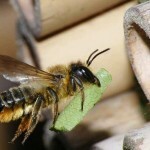 To prepare the nest, the wood bee has to gnaw long tunnels in the wood, making a kind of multi-storey building, with the ceiling and the floor, separating each cell to develop larvae. These large bees are often found sitting on the flowers, where they collect nectar for their offspring, or flying around the wooden structures and looking for the right place to prepare the nest.